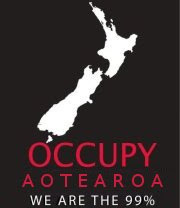 In the wake of the Mana Party announcement of its Hone Heke Tax proposal back in June, Labour's finance spokesperson David Cunliffe was moved to write a few words on why he opposed the idea (see: http://unityaotearoa.blogspot.com/2011/11/introducing-robin-hood-tax-tax-justice.html). But support for a FTT inside Labour and union circles has continued to grow, including among leaders of the NZ Nurses Organisation. 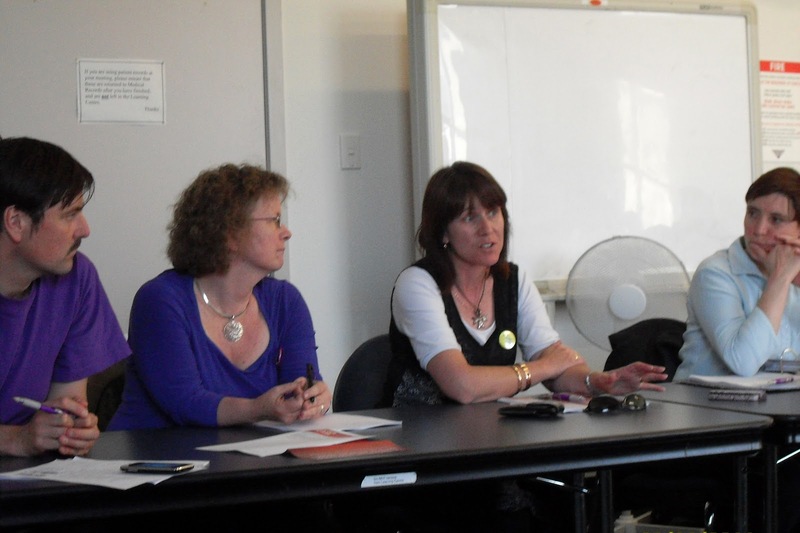 On 16 November, the Greater Wellington Regional Council of NZNO hosted a candidates forum. 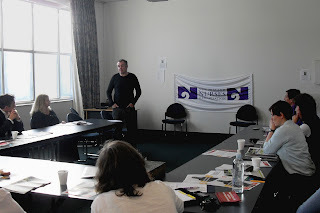 It was attended by the Green Party candidate for Rimutaka, Tane Woodley, and Hutt South MP Trevor Mallard. (The Mana Party candidate for Te Tai Tonga, Clinton Dearlove, had also accepted the invitation, but was unfortunately sick in bed that night). "So if we're looking to a sustainable future, and there are questions about whether there is enough funding for a lot of Labour's policies, surely there have to be other methods of funding – perhaps looking at Financial Transactions Taxes, which are across the board. It's a fair way of having income to fund social services." 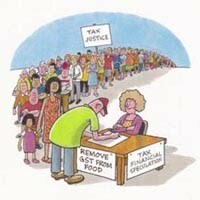 "The question of the Transactions Tax is one which we will contemplate. There's actually some quite interesting OECD and International Monetary Fund work going on on that now. It looks like it could be a goer internationally. And if we have some precedents and either do it with other people, or follow slightly behind other people, then we will certainly contemplate it." This underscores the need – and viability – of the call from the Tax Justice Campaign (http://www.nogstonfood.org/2011/08/18/“left-parties-should-come-together-on-tax-policy”-says-tax-justice/) for a broader Tax Justice Coalition. 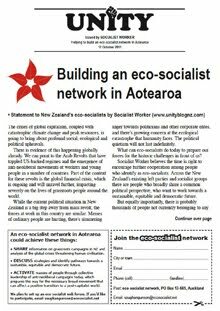 We need to bring together left parties inside and outside of Parliament, along with unions and other grassroots organisations, to keep pushing the policy in 2012. Trevor Mallard, in opposition, makes a vague statement to a union meeting about "contemplating" tax reform. Let the ruling classes tremble.